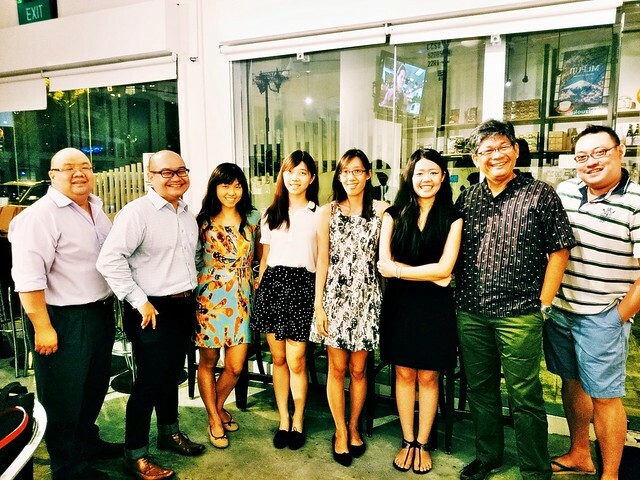 Attended with representatives from TheSmartLocal.com, Deployant, Dan & Esther's Food Haven, Her Pen And Fork, Pooh's Adventures, and Chubby Botak Koala. Subsequent session with Hungry Bird, Shauneeie, Little Tiny Sun, Hazel Diary, and Little Miss Bento. Budget about SGD $20 ++ per person. 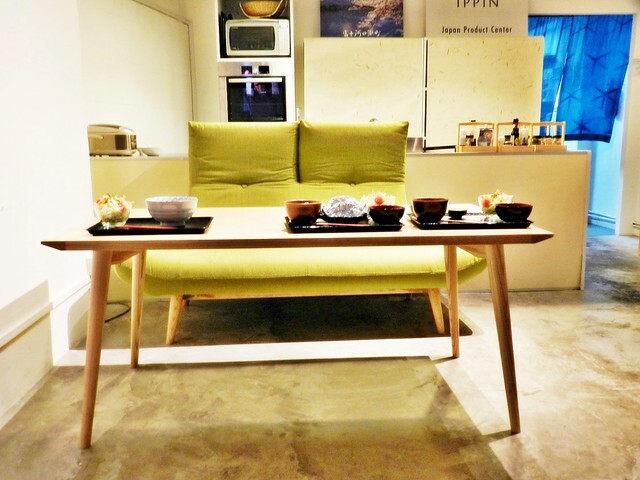 Opening its doors in October 2014, Ippin Cafe Bar along the Mohamed Sultan area is a novel concept; a cozy, unpretentious space that promises hearty, homely Japanese comfort food, a one-stop convienence store for Japanese ingredients and kitchenware, and even a gathering space to learn Japanese cooking! 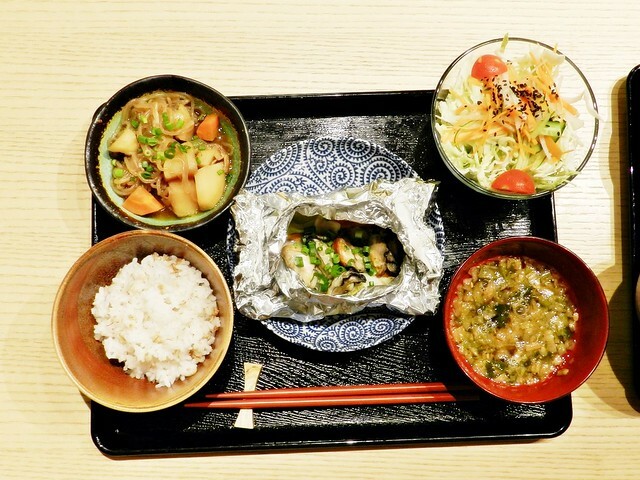 If you need a break from Japanese haute cuisine, then the down-to-earth Ippin Cafe Bar may be just the remedy you need. Ambience at Ippin Cafe Bar is cozy and homely. 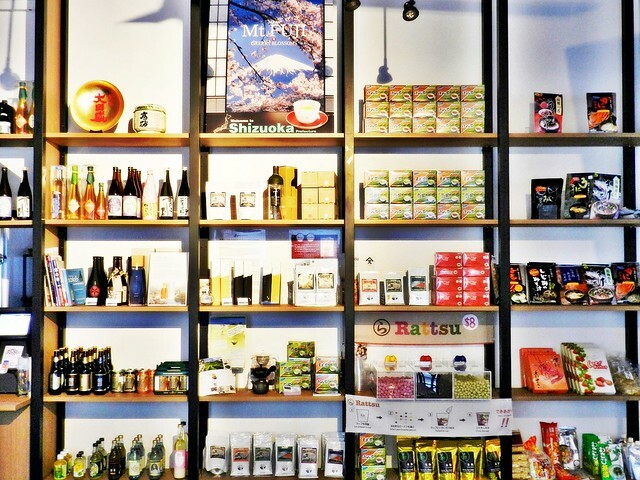 Wooden shelves line the front, stacked high with Japanese snacks, cooking ingredients, condiments, beverages, and even paper fiber clothing! Wide, spacious wooden tables beckon, perfect for dining or simply relaxing. The limited amount of seating at Ippin Cafe Bar means it's difficult for the place to get crowded, great for those who want a quiet dinner. The cooking demonstration area is suitably zen, with minimalist decor, and the well stocked sake bar boasts some premium varieties! I understand that the paper fiber clothing sold here is made from Washi fiber. Originating from the Fukui prefecture, in the Chubu region of Japan, washi fiber yarn takes an astounding 10 years to create! This painstackingly crafted natural paper clothing is also highly durable, due to its thin interlacing fibers, and is known to be anti-bacterial, able to absorb odour, block ultraviolet (UV) rays, and keep the body cool. 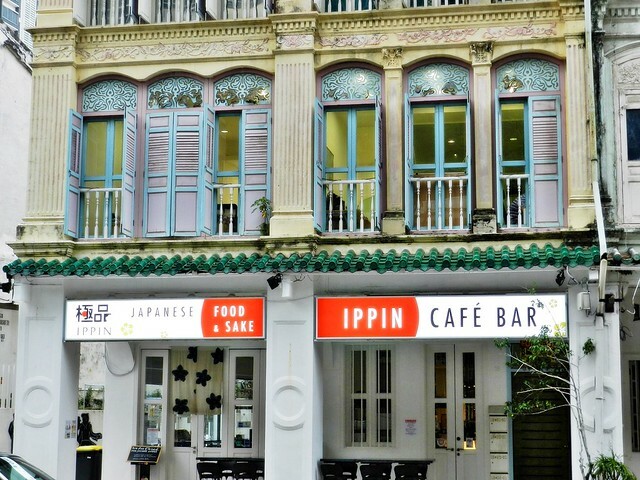 Service at Ippin Cafe Bar is friendly, almost like dining in a Japanese friend's home. The hospitable staff act as hosts, able to engage you in conversation, and also able to offer recommendations and information on the food or beverages available. Items on the menu are even sold in-store, so you can prepare it at home! 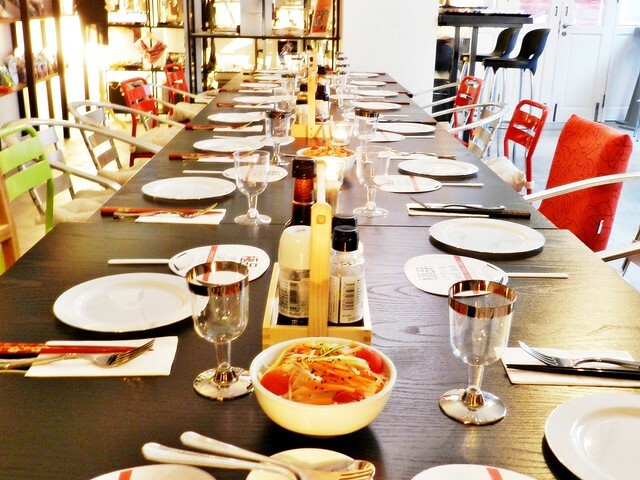 And if you don't know how to go about preparing it, then you can attend Ippin Cafe Bar cooking classes! They even offer free wifi. Overall excellent, friendly service, I like that the hosts checked on how our meal was going, if we needed any more drinks / food, and also requested for feedback! 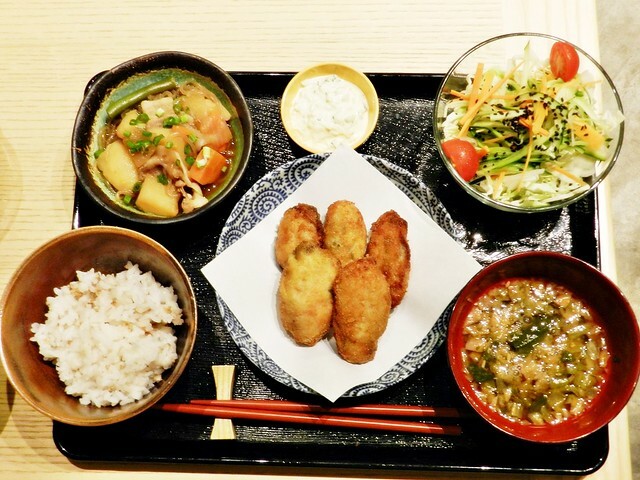 Food at Ippin Cafe Bar is distinctly home style Japanese, which here means rustic presentations, hearty portions, and decent flavour. The actual food menu is rather small and limited, and all the items are sold in sets, costing between SGD $12 - $25 per set. I find myself wishing that the individual items could be sold ala-carte as well, especially if I wanted to order more of a particular item, instead of ordering the whole set again. Also, the seafood used here, especially their oysters, are frozen, imported from the Hiroshima prefecture, in the Chugoku region of Japan. Taste of dishes is generally decent, not terrible, but it's not restaurant quality either. 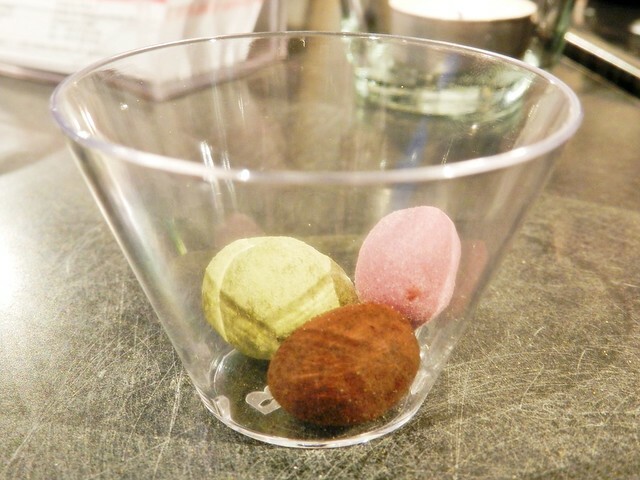 Love how addictive the Suwa Shoten Rattsu (Coated) Nuts - Grassy Matcha, Creamy Strawberry, Serious Coffee (SGD $8) were! There's even a recommended way to consume them; start with the floral, elegant, strawberry nuts; then move on to the earthy, grassy green tea nuts; and finally, the deep, robust coffee nuts. Love these, I can imagine popping them non-stop while watching television! 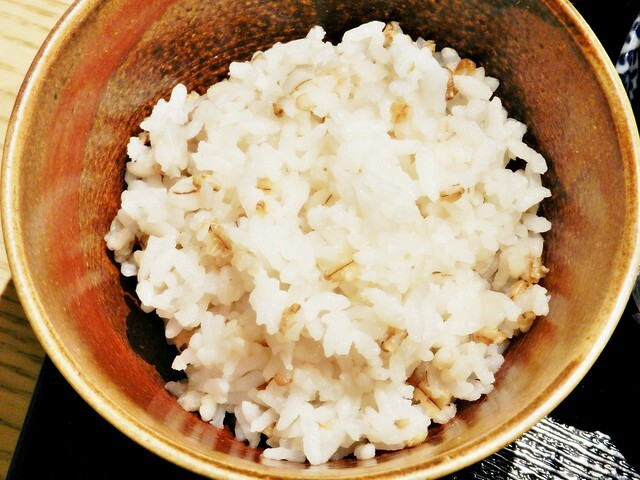 The Barley Rice accompanies most of the set meals, and is pretty good. Very light, semi sticky, and fluffy in texture, considered to be somewhat healthy, as it doesn't cause glucose / sugar spike in your blood. Fragrant too! Seems to be the only type of rice they serve here though, as even the main rice dishes are made with this. This is worth getting! 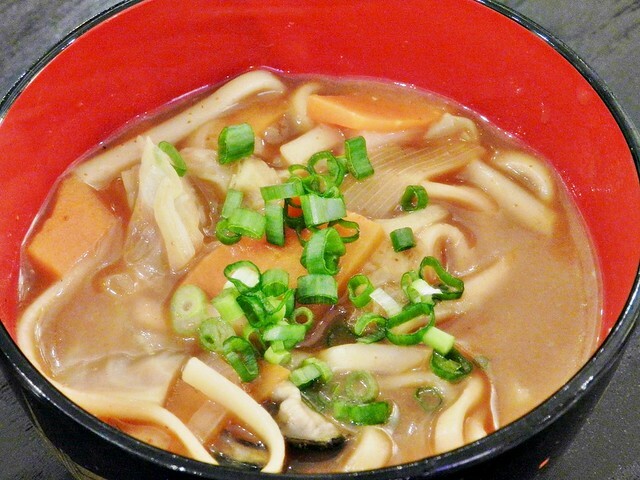 Hatcho Miso Soup is a robust, rich, deep flavoured miso soup, considered to be medicinal in nature, and contains less salt than any other type of miso soup. Taking longer to ferment than other types of miso, with a minimum of 2 years, the Hatcho Miso Soup is highly prized in Japan, and favoured by the Emperor. It's served to accompany most of the set meals here, and is akin to drinking a savoury steak. Very good! The Vegetable Salad accompanies the majority of set meals here, and is a refreshing palate cleanser. Most of the food here can be heavy on the palate in large quantities, or can get cloying, and this helps to alleviate that weighted feeling. 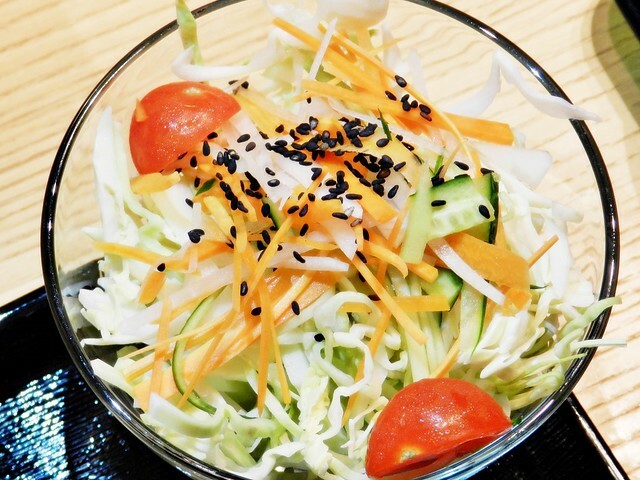 A bright, clean burst of refreshing goodness, the julienned strips of cucumber, carrots, cabbage lend a nice crunch, while the bright cherry tomatoes are juicy, bursting with flavour. Still, it's an overall decent salad, not terrible, but not outstanding either, falling into the average range. 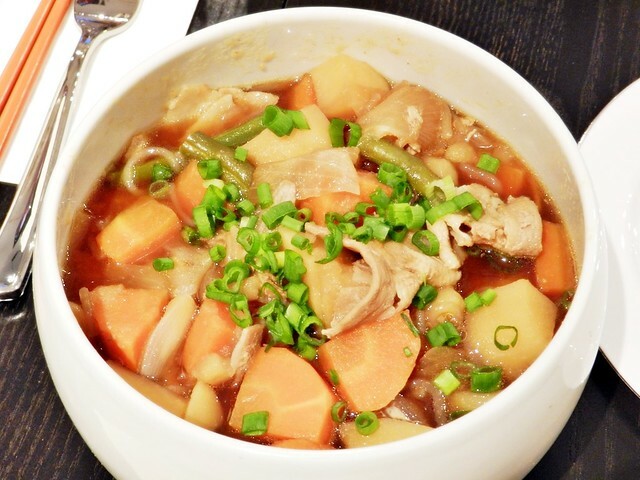 My first thought upon tasting the Nikujaga Pork & Potato Stew was, "Why is this only a side dish? It's good enough to be a main dish on its own!" 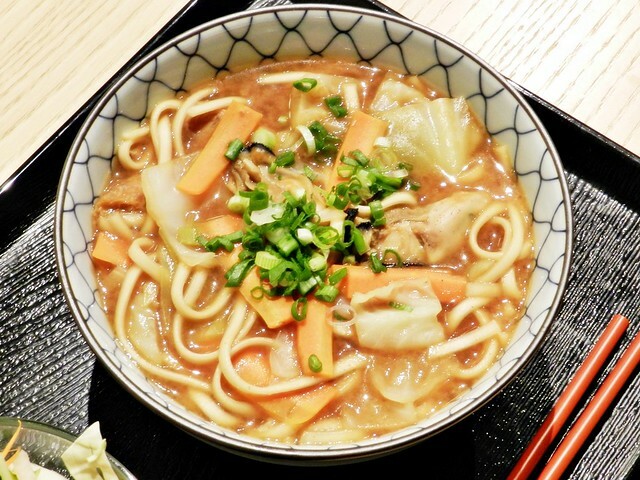 If it could be served in a big portion, the Nikujaga Pork & Potato Stew, with its hearty chunks of potatoes and carrots, savoury strips of grilled yakiniku pork, and thin udon noodles, could be a satisfiying comfort dish on its own. This is a very good side dish worth eating! 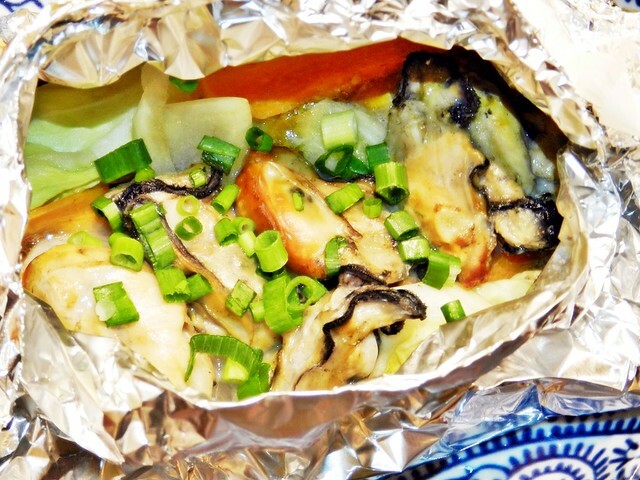 The Grilled Oysters & Veggies In Ponzu Butter Sauce are served steamed in foil, and the oysters are rather meaty, with a clean taste. 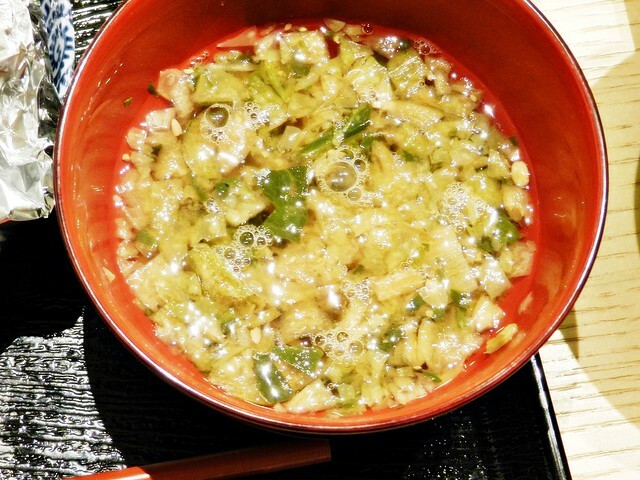 The ponzu (yuzu vinegar) butter sauce is savoury, zesty, and tangy, with a slight sweetness, and lend a nice flavour to the vegetables. Due to the oysters being frozen however, they do lose some of that flavour you get from fresh oysters. I didn't quite enjoy this, rather of a let-down as it's supposed to be the star dish. I loved the Deep Fried Oysters, and I wish it could be served as an appetizer instead of only being served in a set meal! 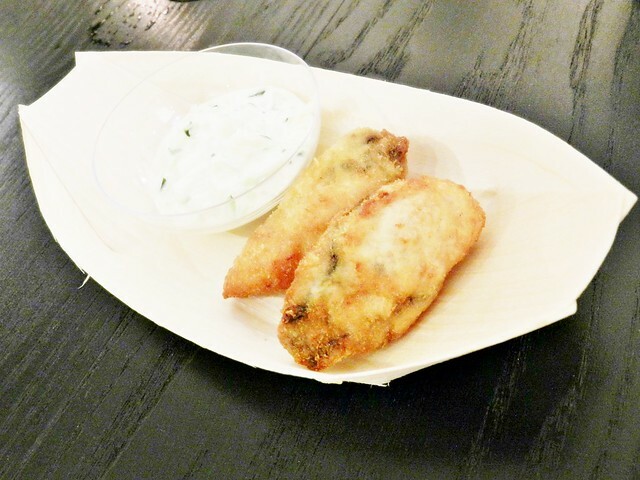 The oysters are meaty, but due to the breading and frying, have a creamy consistency. The accompanying dipping sauce was annoying though, because it was full of diced vegetables, making actual dipping difficult. Still, the actual oysters are great enough on their own, and I would get many rounds of this main dish if I could! Highly recommended! 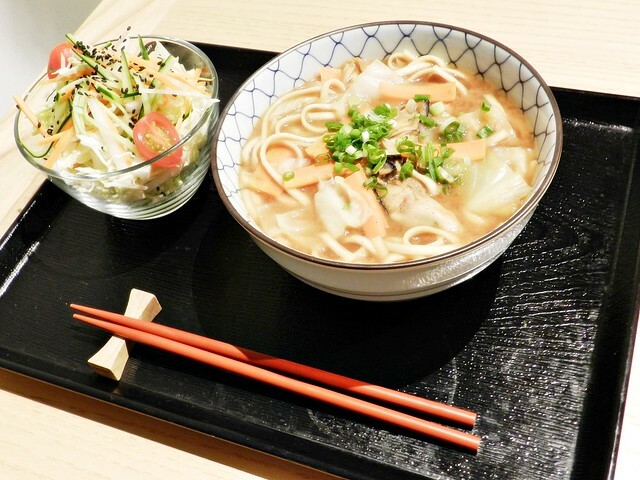 The Miso Udon Noodle With Oysters is made with red miso, which is fermented soybeans that have been aged in a wooden barrel for 2 summers and 2 winters. 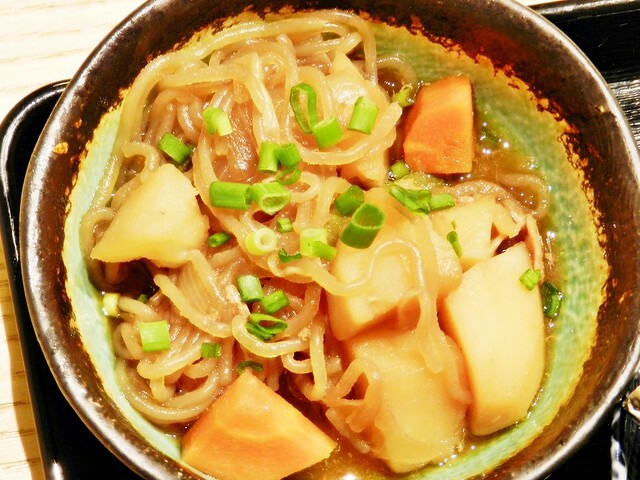 A speciality of Aichi prefecture in the Chubu region of Japan, the red miso lends a deep, hearty, savoury taste to the thick stew of this dish. 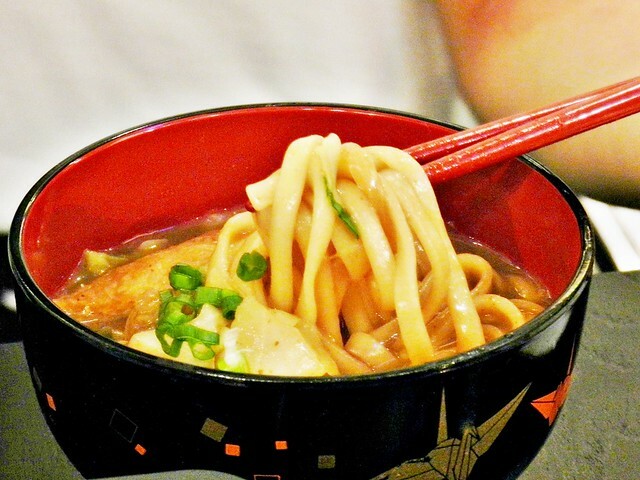 The medium thick udon noodles are made with rice, and have a smooth but chewy texture. However, this dish can get rather heavy and cloying in large quantities, and becomes tiring to eat. Overall, rather decent and average. The Oyakodon (SGD $15) is also served as part of a set meal, and the actual dish itself features slices of tender chicken meat, cooked in a fragrant dashi seaweed stock, and stir fried with eggs, on barley rice. The dish is lighter because of the barley rice, and I love the runny, gooey eggs which lend good flavour. The actual chicken meat is slightly lacking in taste though, seems to be a result of using frozen meat. Pretty decent dish, but not the best I've had. 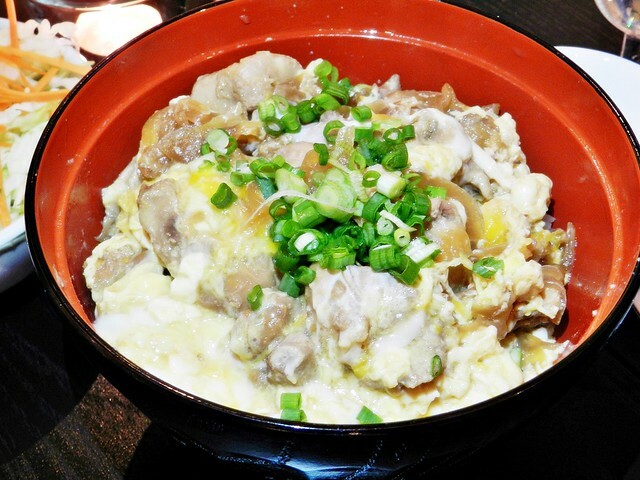 This would be an average dish, not terrible, but not a truly memorable Oyakodon either. 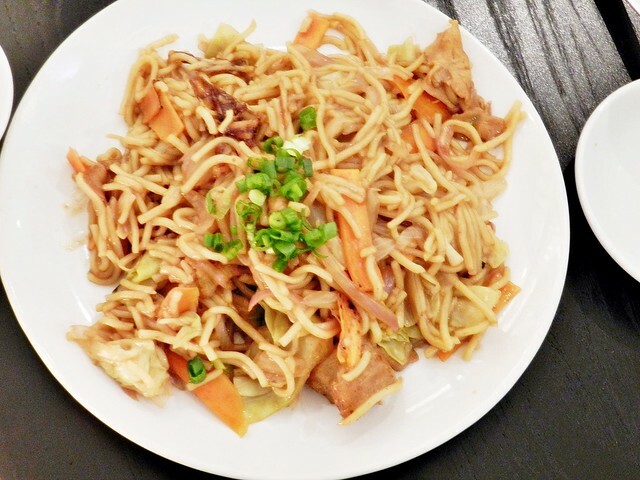 The Yakisoba Fried Noodles (SGD $12) here features the medium thick udon noodles, stir fried with cabbage, carrots, and pork in a savoury yakisoba sauce. Taste is definitely there, but it seemed very similar to other dishes that had come before, especially being almost alike in taste to the pork stew. It seems to me that the only difference between the 2 dishes is a soup version, and a dry version. Didn't enjoy this, I actually prefer the stew over this dish. 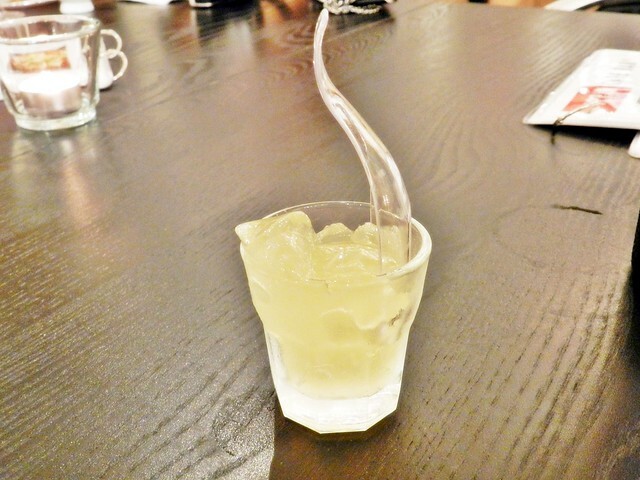 Absolutely loved the Yuzu Pudding, which is served as part of a set meal. The crystal clear pudding / jelly is nicely wobbly, but has a more pronounced sharp sourness in taste, with a slight floral sweetness at the end. 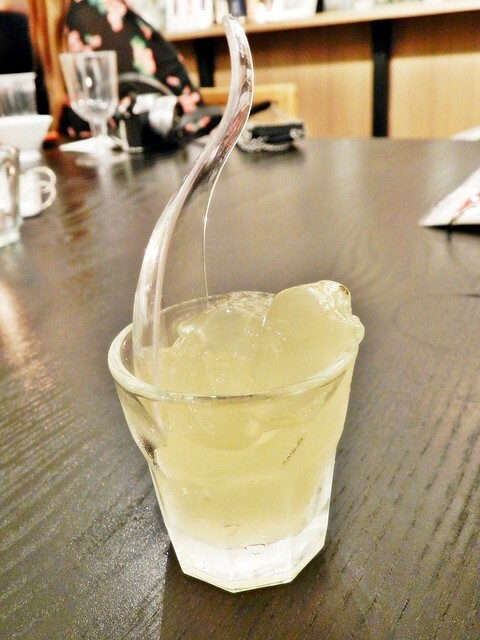 Quite refreshing, and I wish I could also order this ala-carte, instead of getting this only as part of a set. Highly recommended! Ippin Cafe Bar has several novel Japanese sake and beers. The Daijingo Tokugawa Ieyasu Sake (SGD $15) is named after Tokugawa Ieyasu, a famous shogun warrior, and has lived up to its name by being a multi award winning sake. 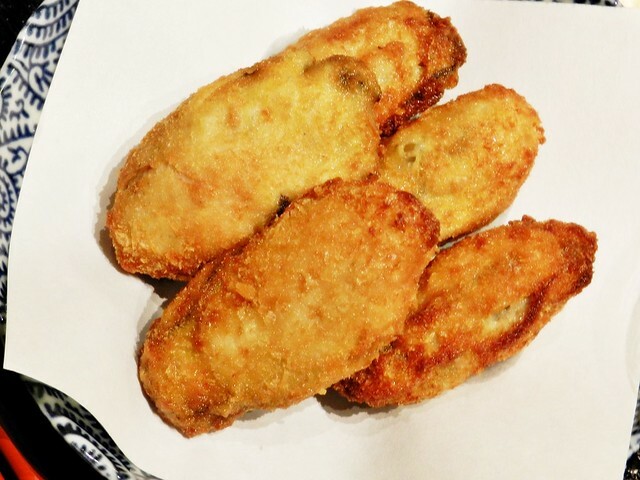 It has a perfect harmony of sweet aroma and rich deep flavor, not too spicy or bitter, with a clear, smooth, and clean texture. 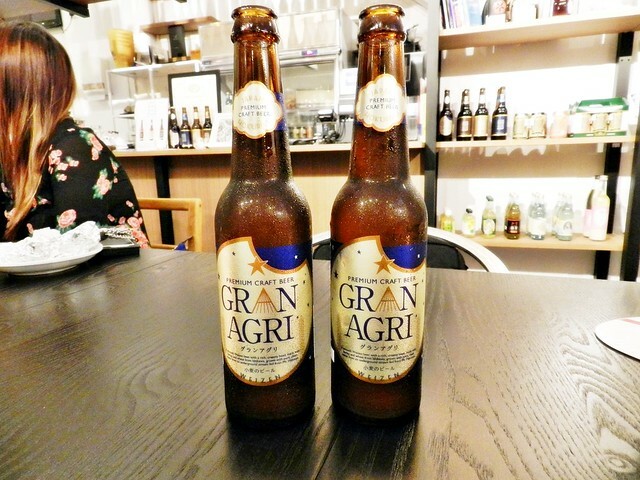 The Gran Agri Weizen Beer (SGD $9) has a hazy golden colour, with an aroma of tropical fruits, and a taste of wheat and hops, with a creamy, smooth texture and little bitterness. Very drinkable. 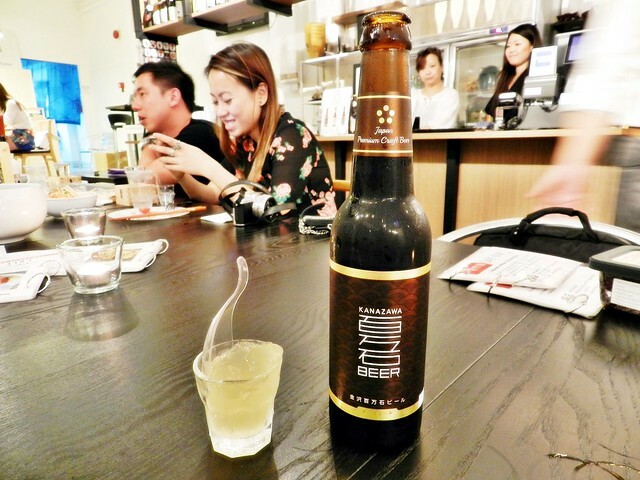 The Kanazawa Hyakumangoku Dark Beer (SGD $9) has a hazy copper colour, with an aroma of malt and caramel, and a taste of biscuit and toffee, with a smooth, bubbly texture. Deep flavoured and robust but still easily drinkable. 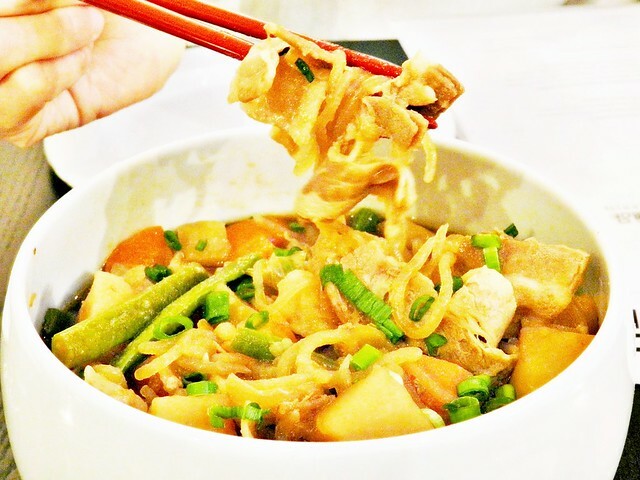 Overall, as a cafe, Ippin Cafe Bar serves uncomplicated, decent tasting food at really affordable prices. Not something I'll go out out my way for, but a nice change from the haute Japanese cuisine around the area. Plus, Ippin Cafe Bar has some really interesting and novel items in their shop, definitely worth a look. I hear they sometimes bring in Japanese vendors to set up pop up shops, and they also regularly have Japanese community gatherings here! 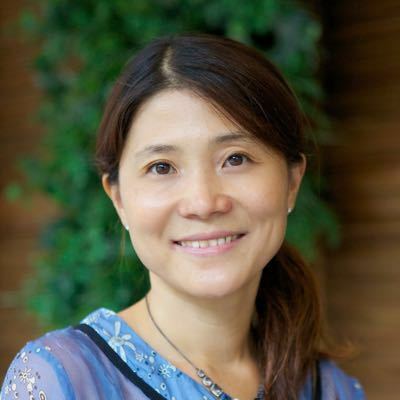 I understand both owner Ayumi Fujishiro and chef Naomi hail from Tokyo, Japan, so it's no surprise the Japanese community find this place to be rather authentic! 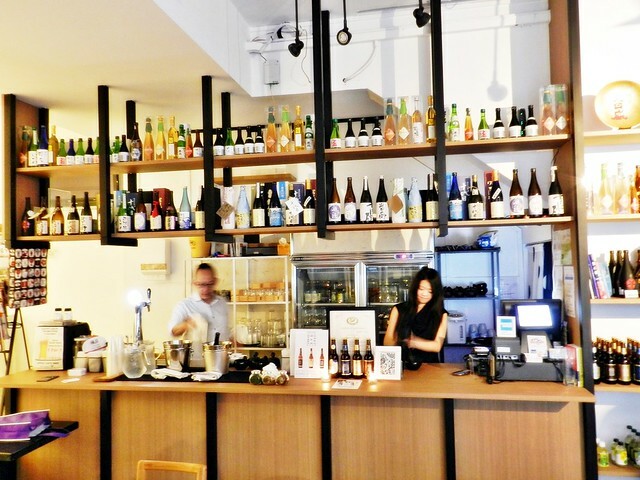 Singaporeans however, may feel slightly 'meh' about food at Ippin Cafe Bar, though the drinks are outstanding, especially for the varieties of sake, beer, and tea.